A tracking pixel refers to a file or code that allows advertisers or agencies to track the number of impressions recorded on a certain ad unit. A tracking pixel is typically used when the advertiser is unable to deliver third party tags that will render the ads (when third party tags are used, the advertiser is able to track each impression via their ad platform). The goal of a tracking pixel is for the advertiser to have an accurate count of the number of impressions that have been served. This information is most commonly used to evaluate the success of that ad (for example, in calculating the click-thru rate). The tracking pixel name comes from the fact that this is often accomplished by embedding a 1 pixel wide by 1 pixel tall image into the ad. This pixel is not noticeable by most visitors, but allows for advertisers to track each time it is displayed. 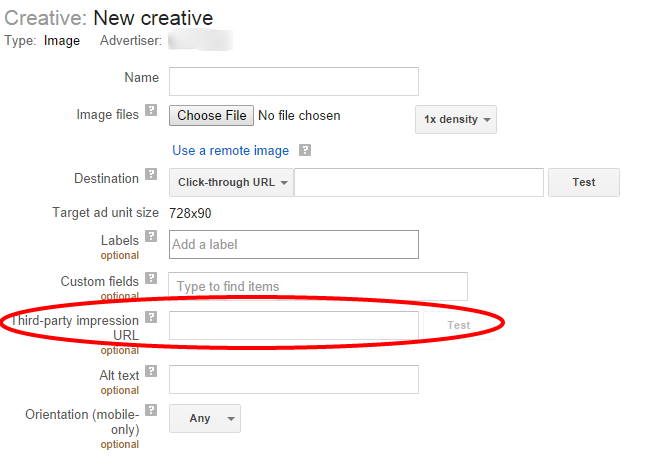 For example, if a publisher requires that a certain ad be delivered as a static JPEG file, the advertiser may wish to include a tracking pixel that will register each ad impression. This tracking pixel may be delivered as either a line of code or an image. In many cases, a more effective way to accomplish the same goal will be to utilize a third party tracking URL. Many ad servers, including DFP, allow publishers to specify a URL that will be “pinged” every time an ad impression is served. This generally allows advertisers to have an accurate view of the number of times an ad has been viewed, and accomplishes the same goal as a proper tracking pixel implemented into an ad. For many publishers, this will be a more practical way of accomplishing what a tracking pixel would do. Each time an ad impression is served, a URL the advertiser specifies will be pinged so that they have an accurate count. If the advertiser is also tracking the number of visitors coming from that ad, they will be able to compute an accurate click-thru rate and evaluate the performance of the ad unit.